Players are back from their first of three 15-minute breaks in Day 1B @WPT Rolling Thunder $3,500 Main Event and the board shows 305 total main event entries so far, with registration open through the first two levels Sunday in Day 2. There's 173 so far today, playing 8 hour-long levels today, bag-n-taggin' at 8:45pm when Level 8 ends. 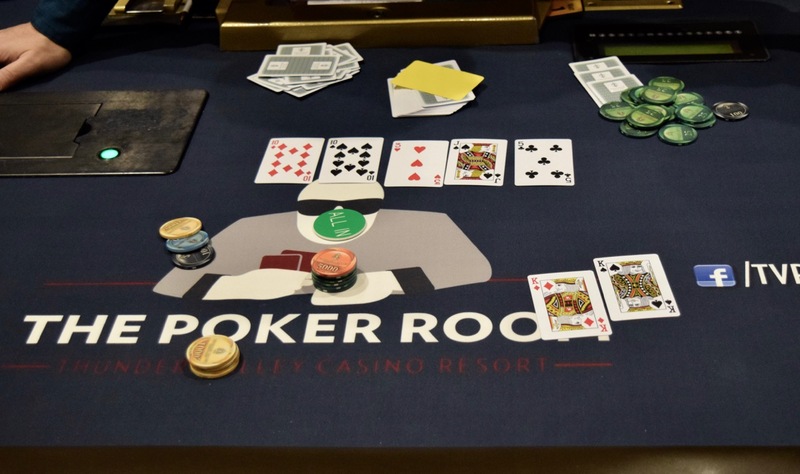 There's $400 1-in-10 and and $750 1-in-5 single tables available all day today for players.